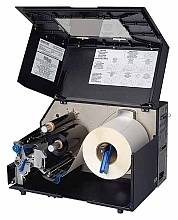 RFID Upgrade Kit allows a customer to upgrade their standard T5000r thermal bar code printer to an RFID SmartLine printer in the field for an easy transition to RFID when needed. SL5000r RFID UPGRADE KITS have everything needed to upgrade a T5000r thermal bar code printer to a multi-protocol RFID SmartLine Printer. The Printronix SmartLine RFID Upgrade Kit allows companies to purchase the thermal bar code printers they need today without worrying how they will fit into future RFID plans. This upgrade path provides asset protection on purchases made prior to the pilot and adoption phase of RFID technology.